April 28th. Queen of the South Slam. $400 in prize money! Invitational Poetry Slam featuring the top 15 female poets in the South East. To finish National Poetry Month with a magical bang - don't miss this exciting high-energy poetry slam which will spotlight emerging and veteran female poetic artists from across four states. This event, founded in Greenville by Kimberly Simms, inspired the creation of the national WOWps. Registration is open. Coffee Underground. 1 East Coffee Street. Poets should arrive by 7:00 pm for the draw. To sign up please register here via PayPal. First 15 invited poets. Poets may be nominated by a slammaster or have participated in a previous Wits End Event to qualify. Email for more information. EARLY BIRD Registration is ONLY $10. Goes up to $15 on 4/14. Please pay via Paypal and be sure to include your poet name as a note. If you are interested in helping with this event, we need timers, scorekeepers, and ushers. Please sign-up online at OR email witsendpoetrysc@gmail.com. The first two rounds of the competition are cumulative with the first round featuring 12 poets then cutting down to 8. The final round will feature only the top 4 poets and will be clean slate. Standard tournament slam rules apply. Prop, plagiarism, or costume violations will result in [-2 ] points from the score for that round. There will not be a tiebreaker round, rather prize money will be split in the event of a tie. If there is a tie in early rounds, additional poets will advance. Poets should bring at least 3 poems. Poems do not need to be memorized but it will help your score. 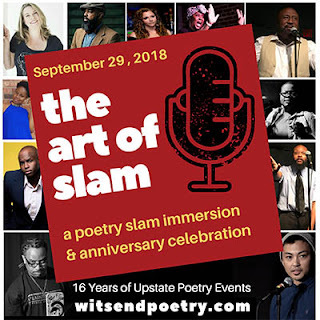 Learn more about slam at http://www.witsendpoetry.com/whatisslam.html. 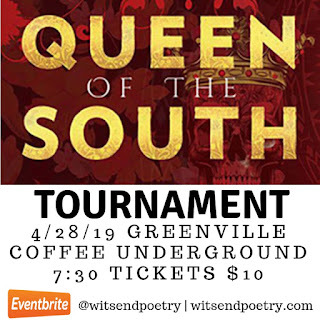 All poets who participated in a Wits End event between March 2018 - April 2019 are eligible to compete. 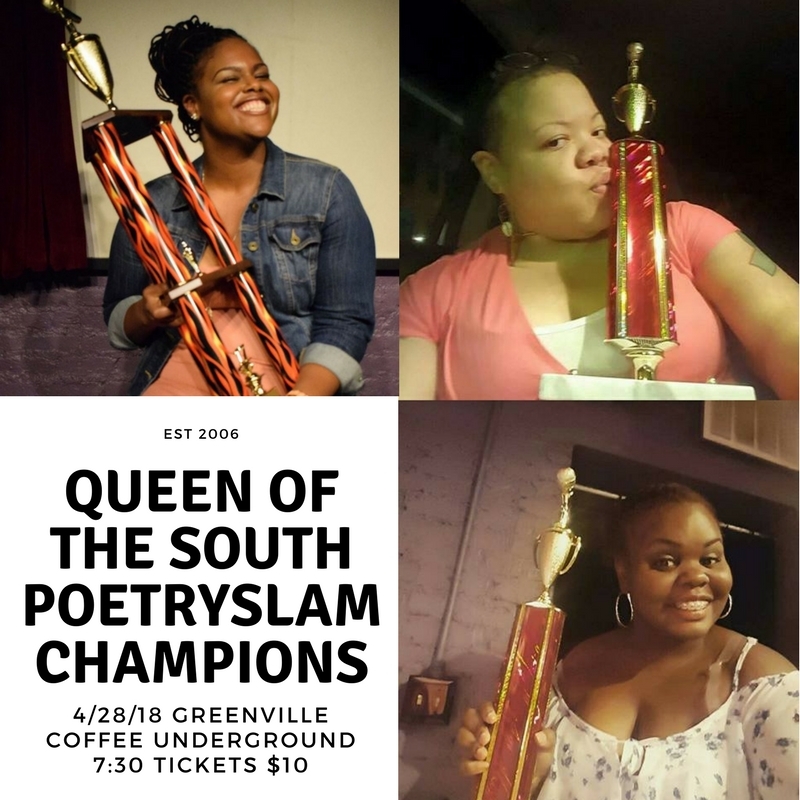 The historical annual all women poetry slam held in Greenville South Carolina celebrates 10 years of providing a platform where the women in the southeastern region showcase their power and spoken word skills! This event was conceived in 2005 and led to the formation of the Women of the World Slam. In the event of a tie, each 2 champions will each receive $175. And the 2nd place will receive $50. 1. No costumes. You may not remove clothing items during your performance. 2. No props. You can not refer to an object during your performance. (mention earrings and pull on your earrings). 3. No musical accompaniment. You can sing but you can not use a musical instrument. 4. 3: 00-minute time limit. Points deducted for going over. 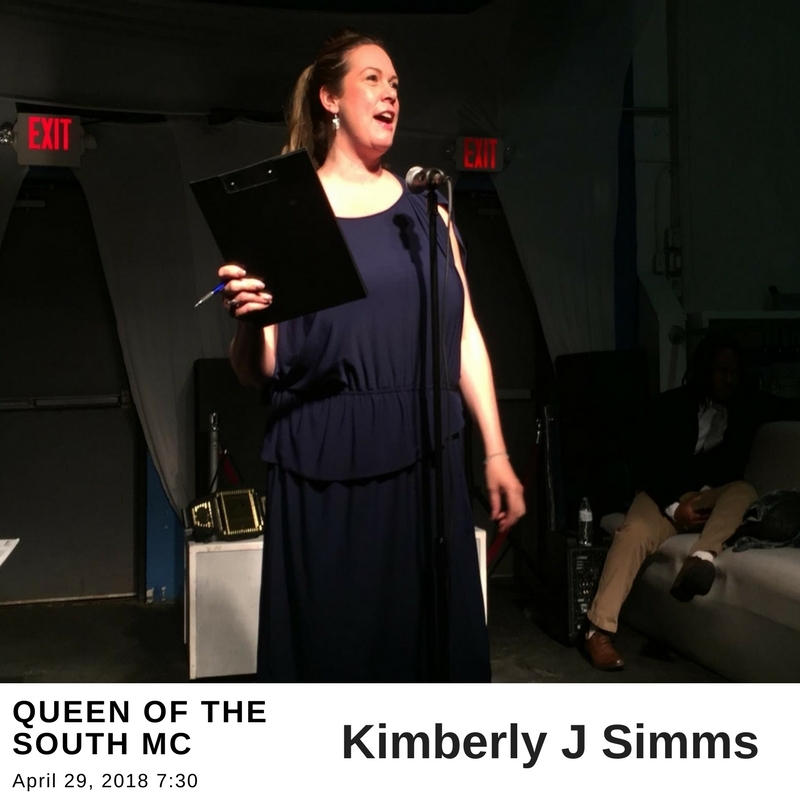 The Queen of the South Slam is a showcase of the top emerging and veteran female voices in the Southeast. Poets may be nominated by a slammaster or have participated in a previous Wits End Event to qualify. Celebrate National Poetry Month! Witness the talented local and regional poets at featured events and high-octane tournaments. Bring your poems for our welcoming open mic! April 7th. POETRY Open Mic with Host Moody Black and feature poet BREEZE. Breeze is a 2018 National Poetry Slam Champion, a King of the South champion, a Slammadness finalist, and member of the Charlotte Slam Team. He is the founder of LifeLine Poetry which provides private coaching, workshops, and poetry events in Charlotte. The night will also feature a full open mic. All poetry styles welcome. Host Moody Black. Produced by Wits End Poetry. Coffee Underground. 1 East Coffee Street. Greenville, SC 29601. 7:30 pm. $7. Sign-up for open mic starts at 6:45. All poetry styles welcome! Read or perform! April 14th, 2019. * Feature Poet Bittersweet. BitterSweet is a survivor, artist, and activist who is changing the world one poem at a time. Her lit verse and sense of humor have inspired audiences at universities and venues across the nation. 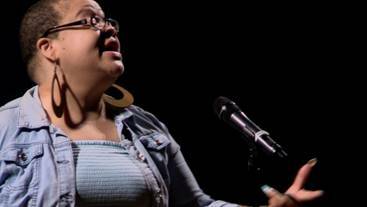 She is a Button poet and national slam finalist who has led multiple slam teams to the Southern Fried finals stage. 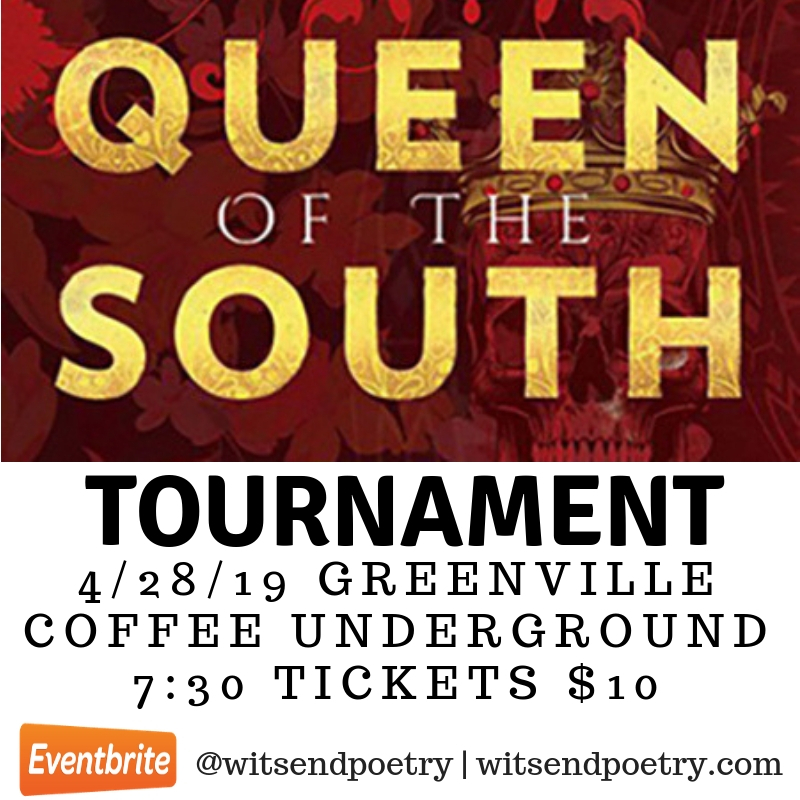 A native of Greenville where she is the reigning slam champion, she has put the Upstate on the map as she has won high stakes slams including Atlanta’s Rough Language, Queen of the South, Slam Madness, and Columbia’s Soul Sista slam. 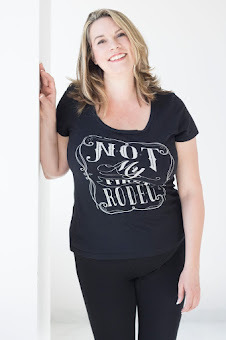 Don’t miss this inspirational speaker who will have you on your feet clapping for more! Button Poem: https://youtu.be/nBCo5EMnR4M The night will also feature an open mic. All poetry styles welcome. Coffee Underground. 1 East Coffee Street. Greenville, SC 29601. 7:30pm. $7. April 21st, 2019. * No Show due to Easter. See the amazing list of features at www.witsendpoetry.com. Say What Sundays are held every Sunday at Coffee Underground at 7:30 in Downtown Greenville at 1 East Coffee Street. Doors open at 7:00. Each event features a short open mic with five local poets going before the feature and 5 after. Individual tickets $7 or $10 for slams. National Slam Champion, Jay Ward, comes to Greenville on February 17th! 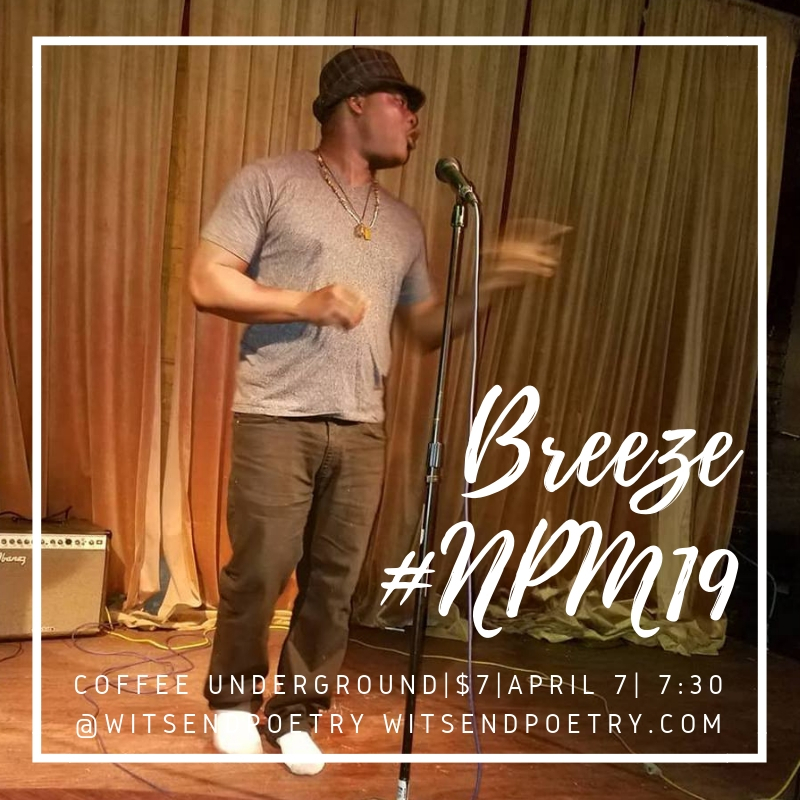 See him live at Coffee Underground as part of the Say What Sunday poetry night on February 17. Learn more about Jay Ward below! The night will also feature an open mic for local poets. Jay Ward is a poet and teaching artist from Charlotte, NC. There is an honest and raw energy released to the audience when his page meets the stage; a story aching to be heard, a salve searching for hearts. Jay is currently ranked 14th in the world for slam poetry and Charlotte's 2016 Poet of the Year. He is also a Program Director for BreatheInk, where he facilitates writing and performance workshops and coaches youth poets attending Brave New Voices each year. He has released two full length cd's of poetry, published the book Life Power Soul in 2009, and is certified to lead writing groups and workshops by Amherst Writer's and Artists. In addition he has appeared on Fox News, opened for Angie Stone and Georgia Me, featured in many venues throughout the southeast and taught at numerous schools and universities. His love affair with poetry began with hip hop; the culture, the rhymes, the metaphor set to melody. He was always writing, reciting, practicing in the mirror with his 'microphone' (aka hair brush, afro pick, can of afro sheen, etc). After joining a writing group, he focused exclusively on poetry and spoken word. In 2010 he began performing in Charlotte and entered the world of slam poetry. As a slam poet, Jay has won many competitions and has qualified to represent Charlotte twice at the Individual World Poetry Slam. He has also enjoyed the opportunity to pass on the knowledge and skills he's acquired by coaching youth poets who qualified to attend the international poetry festival and competition, Brave New Voices. On the page, he has been published in Four Magazine, ConcreteGeneration.com, and has been selected for an upcoming anthology by New Dawn Unlimited. His first collection, Life Power Soul, received Honorable Mention in the 2010 Self Published Book of the Year Awards. Away from stage and page, one of Jay's passions is teaching. In addition to facilitating workshops bi-weekly for BreatheInk and various schools, he has been requested to speak at UNC-Charlotte, Hofstra University and the National Council for Black Studies 40th Anniversary Conference. He enjoys talking to educators not only about why poetry is important and should be taught in the schools, but also practical steps of how this can be done in a way where the teachers aren't intimidated and the students are empowered and eager to learn. Poetry is art. The role of an artist is to take the world around them, translate it, and hand it back to the people. The role of an artist is not to be the fire but to be the spark. The only constraint to the artist is the size of his audience, you, the fuel. Jay Ward would love to be your catalyst.